CAMERA: any format, smart phones too! Don't let another day go by without discovering Photography. 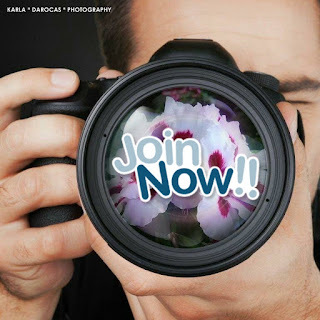 Make the move from being just a "happy snapper" to a real photographer! In today's world where cameras are easy to access, they are even on your phones, there is no excuse not to learn the principles of photography and take memorable and beautiful photos that will bring joy for years!! Karla Darocas will teach you to "see" the world as an artist. You will be given theoretical instruction via a slideshow and course notes on the principles of classical beauty, known to the world for thousands of years. Once you are enlightened to this information, you will understand how to organise your vision to see beauty all around you and this in turn, will bring you a great amount of joy and enhance your personal well being. She will also instruct you on how to control and command your camera in order to utilize it as "tool" to capture and preserve your vision and this will delight your creative mind. Then, in a "real" photo shoot session, you will be instructed on how to use your camera in both a practical and creative way that will make you enjoy photography to the fullest. During the walk-about photo shoot, the rules of photography will be repeated with guidance and instruction! "Absolutely excellent. I was given a lovely camera as a present two years ago but had no idea what to do with all the complex options it came with. So I had hardly used it. After just a couple of hours on this course I had learnt so much that I am planning trips just to take my camera out. There was lots of personal attention from Karla and loads of ideas of simple things to try that were really effective." "I thoroughly enjoyed it. I found it very helpful and interesting. I found myself absorbing lines, shapes and textures all the way home!! Also this workshop gave me a greater confidence to play around with the camera. I learned a lot in a short time. Karla is very informative with a lovely sense of humour which makes it a pleasure to learn from someone who obviously has great knowledge and a great passion for what she does." "The notes and lecture that Karla started the morning with were most instructive. I have become more familiar with my camera, which was my aim in taking the course. Karla's teaching style is informal, well planned, thoughtful. I would recommend Karla Darocas." "It was a fantastic sunny day and Karla was very friendly and informative. She taught with enthusiasm on how to take photos by looking at the beauty of things around us and applying the principles of harmony, colour, form, texture and lighting, etc. I would certainly recommend Karla’s photography workshops are a great way to meet other people and a fun way to learn how to take better photos. I feel I received some great photography tips and my photo taking has much improved only after a few short hours." "Karla had a friendly relaxed style of teaching as we wandered around the village. The focus of the information was less technical than I had expected, concentrating on the beauty elements of the shot. I was amazed at how much my photos improved throughout the morning by employing the principles that Karla taught us. 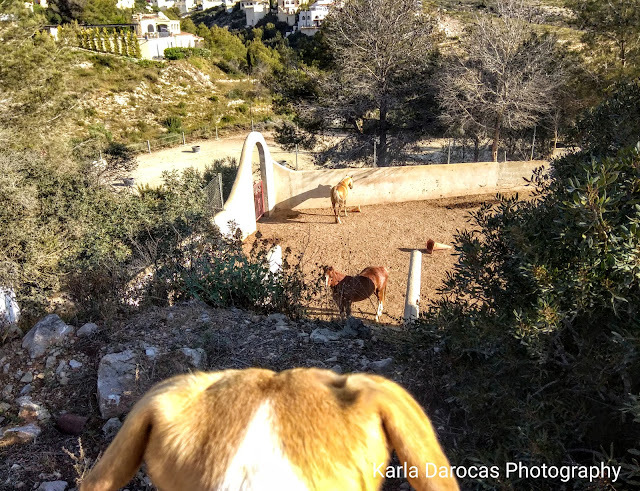 Karla has a keen interest and background in Spanish art and this knowledge shines through in her approach to photography. I recommend her walks not only in order to learn more about the art of taking photographs, but also as a pleasant way to pass the time." "Karla is a truly talented photographer. She combines her background in fine arts with the camera's technology and through the lens wonderful creations are born enabling the viewer to see and appreciate the hidden beauty that is around us. A flower, an insect and a building come to life as a digital portrait reflecting her passion for photography." 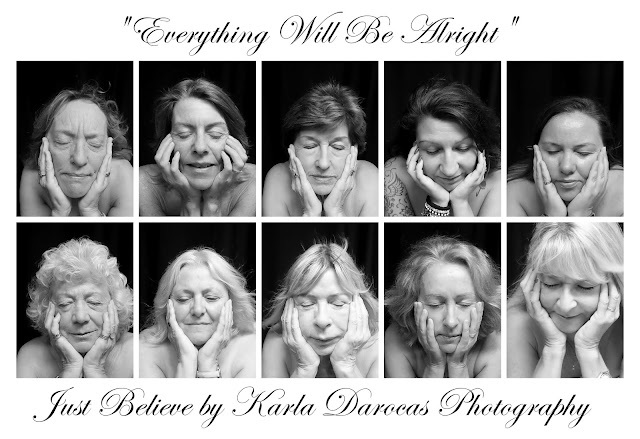 "I highly recommend Karla's photography workshops. Even with my little compact camera, I learned a lot about how versatile it really is and what happens when I dig down into menus I had rarely touched. Whatever level you are at or whatever gear you have, Karla will help you get more out of your digital photography. Definitely give this a go!" Moving from a "happy snapper" to a real photographer means learning to change your perspective and guiding your camera to capture a different viewpoint. 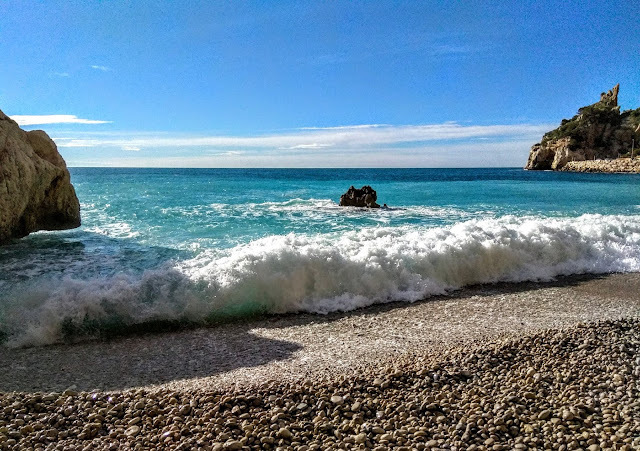 That view might be something that your audience would never get to see in their lifetime, or perhaps you wish to create a narrative for your audience. Let's take a look at these photos below to demonstrate my point! In the middle of the frame are some horses from our neighbourhood stables. I could have just taken a picture of the horse looking up at us but that would have been just a "happy snap". By moving around behind Venus and lowering my camera to her perspective and fixing on the horse looking up at us, I can visually tell a story about a little dog who adores looking at horses and a horse who is curious about a dog. Does the absence of colour in photography make your statement more provocative and powerful? This is a question that photographers need to ask themselves, if they are working on a serious topic that demands an immediate emotion. As a photography instructor, it is my duty to take my students from the realm of "happy snapper" as I call the "point-and-shoot" crowd, to enlightened "photographers" who use their cameras as tools of expression and information. In this Photographic Thesis, I wanted to use my camera to explore "Woman as the face of hope in humanity". The early theologians would reflect on their icon of Mary, as their face of hope. Besides Christ, no other subject in iconography has been more depicted than Mary, the Theotokos (Greek for “Mother of God”, literally “God-Bearer”). It shouldn’t be surprising that no human being born of a mother, would not resemble their mother to some extent.